When it comes to David, I’m quite often “all about the career.” I think David’s voice is so phenomenal that the world simply MUST acknowledge it. But on a personal level, it’s all about listening to the voice. That voice is what I’m dying to experience live. The Voice, the voice, the voice. No special songs. No special theme. Just the voice singing anything he wants to to sing. Like many of you I can’t wait until David gets home. He has been sorely missed. But thoughts of his homecoming bring up many questions. How will he have changed? What will he look like? (Once he has hair again.) Will his voice be deeper? Will his personality have changed? One thing we can be pretty sure of is that he’ll come home with an accent and speaking fluent Spanish. The thought that naturally follows is; Will David be recording in Spanish soon after he gets back home and back to singing? 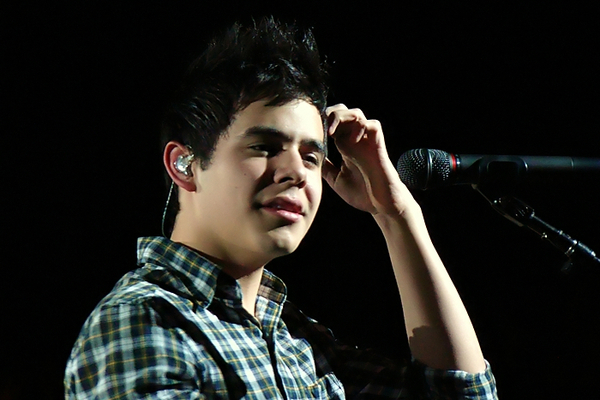 I usually love David’s voice singing anything, but I wonder. If he does a whole album in Spanish, would I really want to buy it? After all, I wouldn’t understand a word he sings. So, I did a little research and made an interesting discovery. I decided to listen closely to something he both recorded and performed live in Spanish. Listen to this “Riu Riu Chiu”from Verona. The whole thing is beautiful, but the part from 2:20 to the end where there are no words, just his voice. Gahhhhh…to die for vocals! Now tell me it doesn’t make your little heart ache and sing with joy at the same time. As I listened to that last part I was so enthralled (that ending is exquisite) and it suddenly dawned on me. 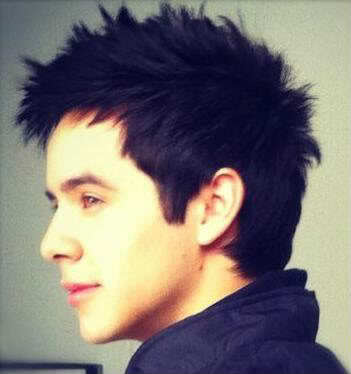 David has recorded tons of songs and I have loved them all, in the beginning. But it actually takes me a while to decide whether or not I really like the SONG. OK. That sounds strange. What I mean is, at first all I hear is his voice, not the lyrics. I’m so excited that I get to hear him sing ANYTHING new, that I don’t really listen to the words because I’m too busy drowning in his voice. After I’ve heard each song a few dozen times, I finally reach a point where I actually pay attention to the lyrics and decide if I like the song itself. Or I should say, which songs I like more and which I like less. 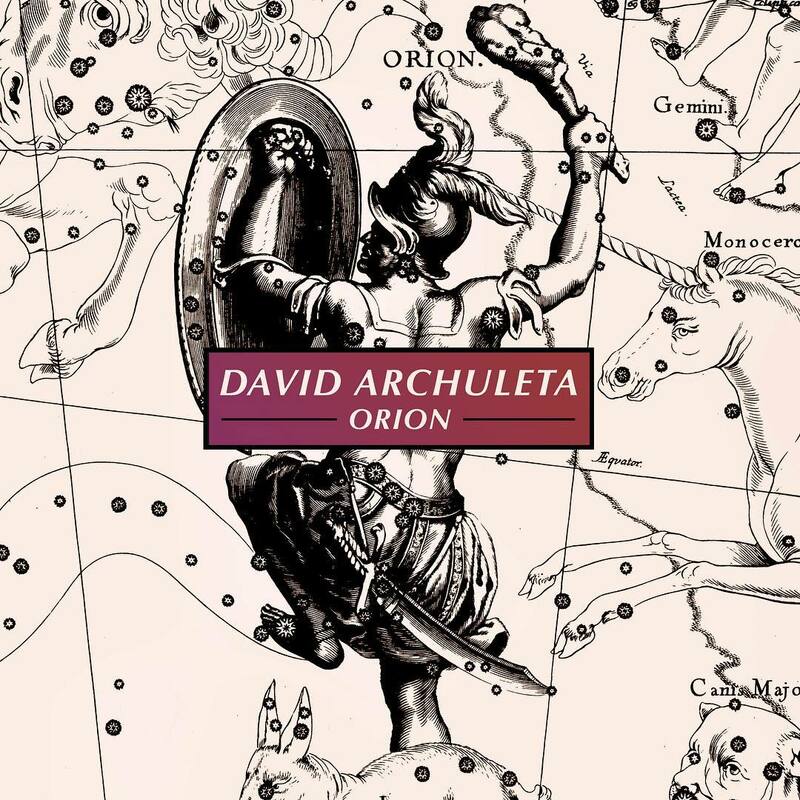 So…all of this to say that if David does make a Spanish album, it may very well be my favorite of all even though I won’t understand the words. It might actually be BECAUSE I don’t understand the words. It would be like all the background vocals that I love so much. He usually isn’t even singing actual words, just sounds. All I hear is him vocalizing the emotions he’s feeling. Sooo beautiful! I think his songs in Spanish might have that same effect on me. Without the distraction of what the song is ABOUT, it will just be..the Voice. So David, bring on the Spanish album!! I am ready!! How ready are you for a whole album of soft consonants sung by David? 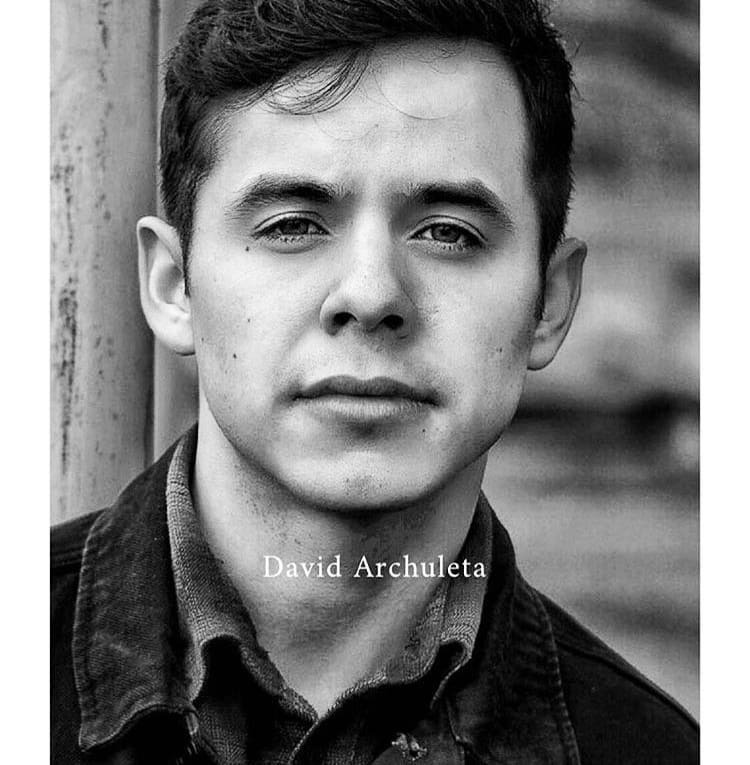 This entry was posted on Sunday, November 10, 2013 at 2:56 AM	and is filed under @DavidArchie, @kariontour, David Archuleta, The Voice. 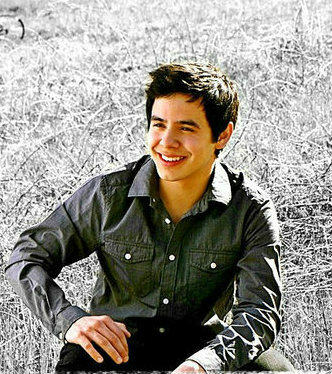 Tagged: #DA2014, Dancing and singing in Spanish oh my!, David Archuleta, el español es muy romántico, mi corazon es muy doomed. You can follow any responses to this entry through the RSS 2.0 feed. You can leave a response, or trackback from your own site. 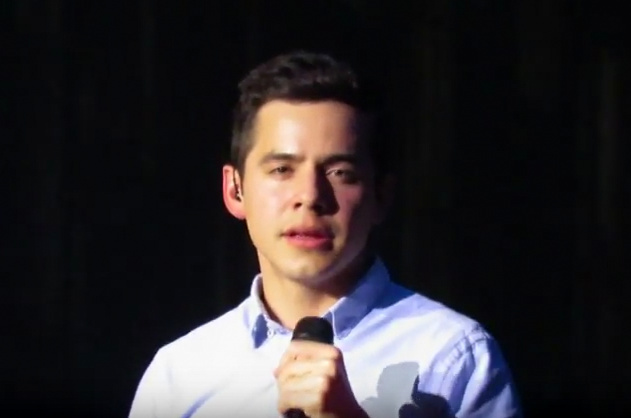 David James Archuleta is an amazing young talent that has already proven himself in the world of professional music, and will continue to stir audiences the world over with his amazing abilities. 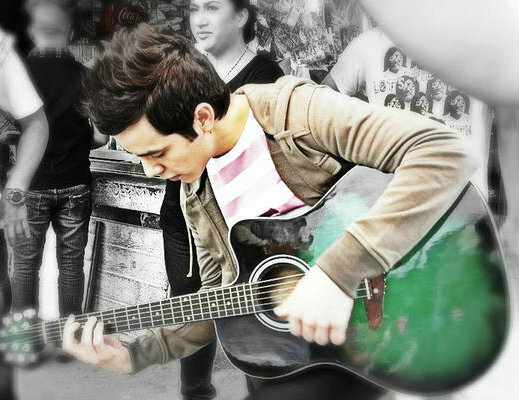 He does not strain to sing his songs, but his melodic voice is very soothing and pleasing. 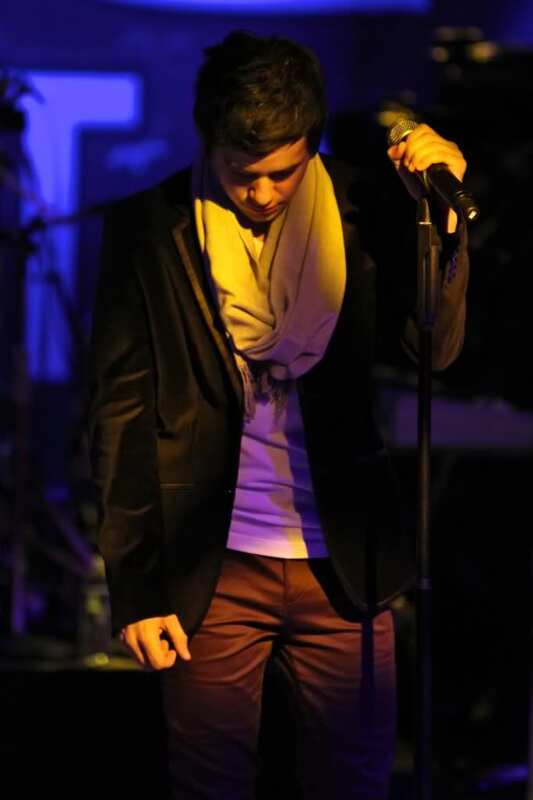 He has one of those voices that sweeps the audience away, and always leaves them wanting to hear more of his repertoire. He is destined to go far. 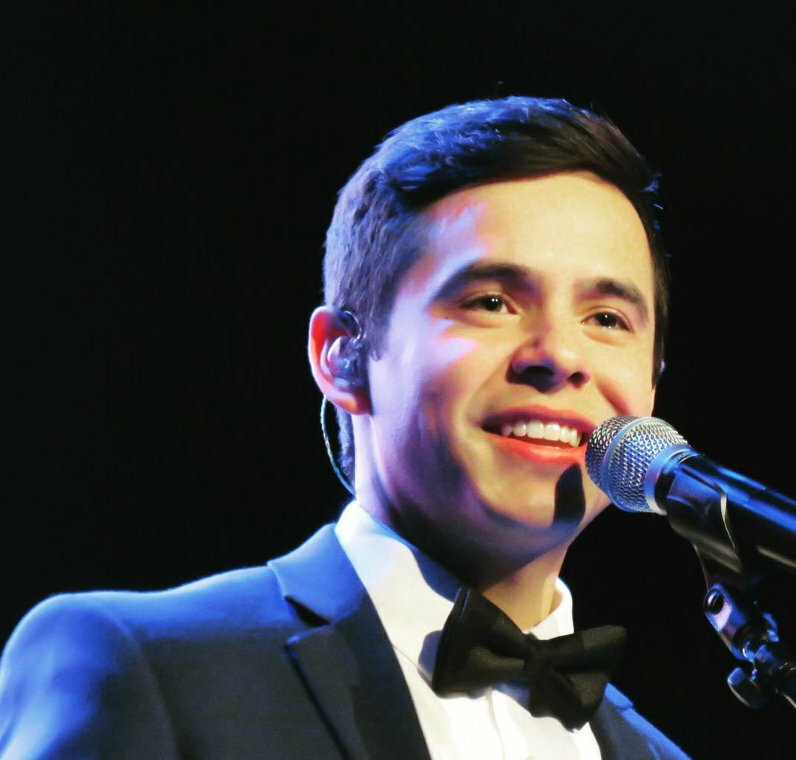 As long as audiences will keep listening, David will keep singing, but then even if the performances should end (and I doubt they will), he will find a way to share his music, as music is in his blood. Welcome to The Voice and thank you for reblogging MT’s article and for your service to our country. Exactly the way I feel. And yes, I listened to the end. Glorious! What I give up in lyrical comprehension is replaced by a heightened experience of just the sound itself. The way he plays with the shape of a vowel or the way he infuses a phrase with so much emotion. I seem to understand it on another level, as though he is communicating with my spirit, devoid of the trappings of this world. It’s the same reason I love abstract paintings. It is just the THING itself, not trying to be anything else but color, form, and pure energy. Powerful stuff that is just waiting to be released. I think he will have been changed in a good way by the culture, language and feelings of the people and places he is soaking up in Chile. The thought of him speaking with an accent? I can’t even…. And just because no thread about David singing in Spanish would be complete without this total perfection of a performance. Now and again I would play David’s live performance of Contigo En La Distancia from the ALMA Awards in ’09 and always loved it. The man can sing anything!! Even with his Christmas album with some of the songs I never even heard of before and the language I still enjoyed them because of the FEELING I got from them. Especially with Riu Riu Chiu I always pictured the Nutcracker for some reason LOL it was cute but they always made me happy. We’ll see what he does!! Just want to give my thanks and gratitude to all you guys here at The Voice for your commitment and hard work. I often feel like I am just too busy to even make a quick comment – I can’t even imagine the time you all spend on keeping this going. I am so grateful and appreciative to have my online home, a place I always feel welcome. MT, great article! “It would be like all the background vocals that I love so much. He usually isn’t even singing actual words, just sounds”, Oh yeah, I’m as excited for a Spanish album as anything else he has done! 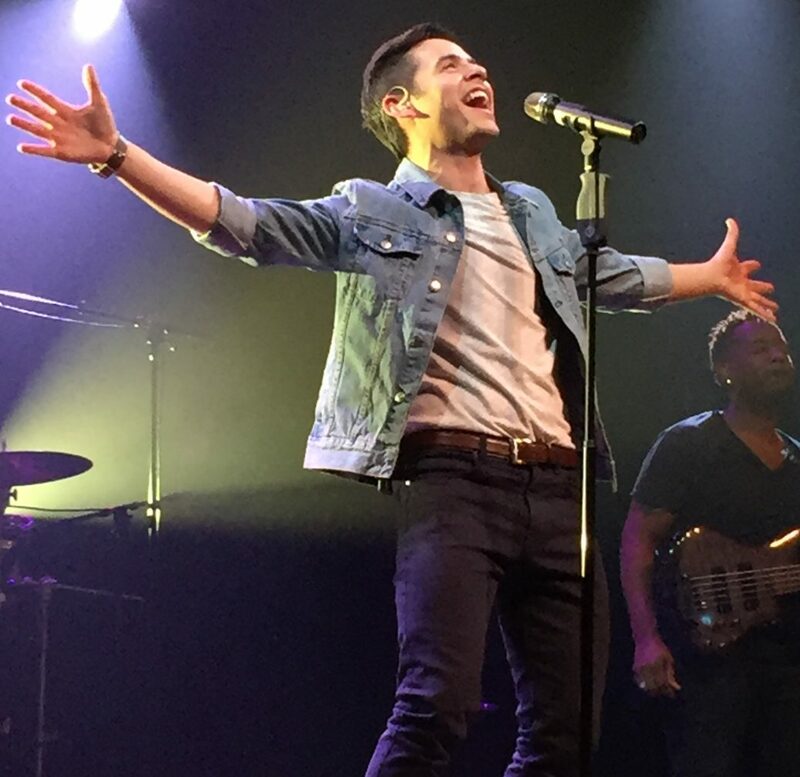 “How ready are you for a whole album of soft consonants sung by David?”…..bring it on!! Angelica, “The way he plays with the shape of a vowel”…THIS has always killed me!!!!!!!! My prayers go out to all those in the Philippines affected by the terrible devastation of Haiyan. A Spanish album? Why not! 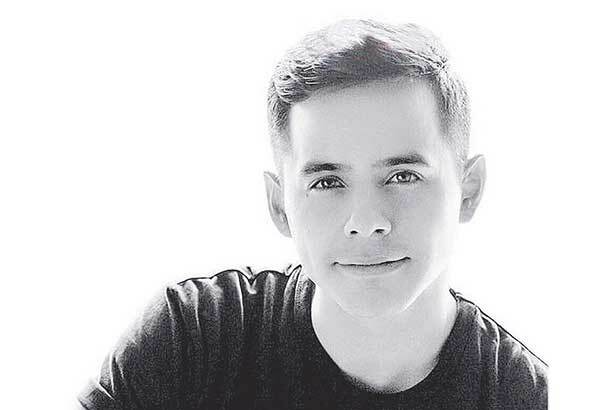 I started studying Spanish myself yesterday and it didn’t feel difficult to me (maybe because I really want to have a conversation with David and some of Archies that hardly understand English). What a great article MT. I’m in the group that doesn’t understand anything but English, but I would definitely buy a Spanish album. After all, like you said, it’s the Voice. It’s the Voice that can lift and soothe a troubled heart and mind. It’s the Voiced that can put the pep in a slow step. It’s the Voice that always takes me to ‘that place’ (‘Don’t Give Up’ at the end where his voice and Libby Linton’s meld together), It’s the Voice that can get me rockin’ and jumpin’! Just love it, no other words! I’m ready for that Spanish album, MT. Any sound that comes out of David’s mouth, in any language, whether it’s English, Spanish, Latin, French, Tagalog or anything at all is glorious. Therefore, it makes sense that even if you don’t understand the language, it doesn’t take away from the song because it’s the sound of his voice that gives us so much pleasure. Language is no barrier. Matter of fact, I’ve been looking on YouTube for a particular video of a compilation of the sounds David makes when he sings. It includes humming, wailing and other sounds. Unfortunately, I can’t find the video. It may have been pulled it from YouTube for being too beautiful. LOL If anyone has it, kindly post it here. Thank you. I really enjoy your articles, MT! I agree. Each time I hear David sing it’s like it’s the first time again. I’m always shocked at how gorgeous his voice is. I couldn’t agree with you more about how Libby’s and David’s voices blend at the end of “Don’t Give Up”. Welcome and thanks for reblogging. :)) I’m glad you liked it. haha Yes, I do know you’re one of us who are hoping for a Spanish album. 🙂 Wasn’t the end of that Riu Riu Chiu just gorgeous! His voice there gives me goosebumps. 🙂 Thanks for posting Contigo, too. You’re right. 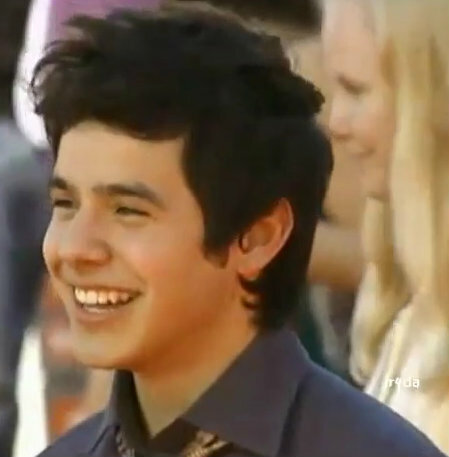 You can’t mention David and Spanish songs and not think of that fabulous performance. Nice to see you here. 🙂 I take it you’re another fan of the background vocals? haha I love those!!! “Even though I can’t understand the lyrics, I can feel the “soul” of it. He sang it passionately and greatly.” You are so right! And good luck with learning Spanish! “It’s like I know he is so good and I know I love his singing, but when I hear it, it’s almost hearing for the first time…I get goosies, I sing with him, I smile, I throw my hand up, I skip and it all goes right into my heart!” Awwww, that’s beautiful! Love what you said there. 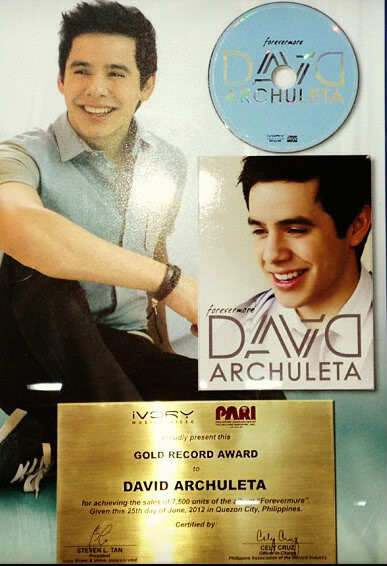 David does all those things and more through his music. And I know what you mean about learning Spanish. I had every intention when he left to do it. Haha I just didn’t happen. Aww, thanks. 🙂 And I know what you mean about it still surprising you. If I go a day without listening to his music (doesn’t happen often) it catches me by surprise all over again, amazing me anew, and reaching out to me and capturing my heart all over again. 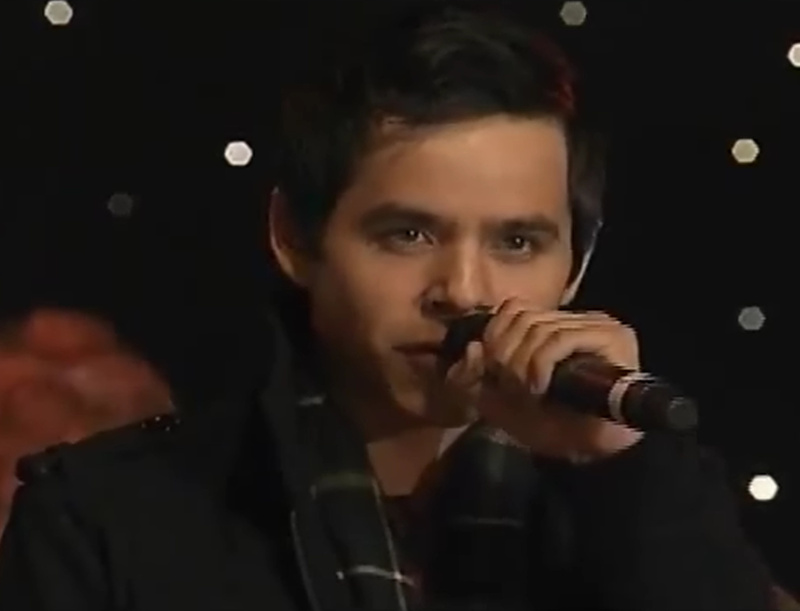 I couldn’t find the one you were talking about, but did find this one of him humming from his Christmas songs. Yep, no words necessary and language doesn’t even matter. It’s funny that this article comes the day after I have a dream of David singing Spanish. In the dream I standing next to him with a group of people and he is wearing a dark blue shirt with a couple of stripes of crystals. I remark to myself that it seems strange to see him wear something that sparkles but, I like it and I tell him that he looks good in that shade of blue. As he starts to sing, I am wondering what he’s chosen. The songs turns out to be a Spanish song and the audience is loving it. I didn’t understand the words but it didn’t matter because he sang it beautifully. What’s weird is that he sang the first verse of a song that I have never heard before and yet I knew it was in Spanish. Dreams are so strange. I am glad I remembered this one. Watching the Verona performance of Riu Riu Chiu I am drawn in not only by David’s voice but by his hands and body movements. Simply memorizing!!!! 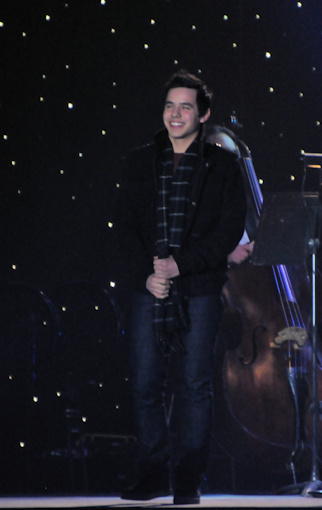 I am so glad that I was able to attend one of his Christmas performances. It was a thrill!!!!! 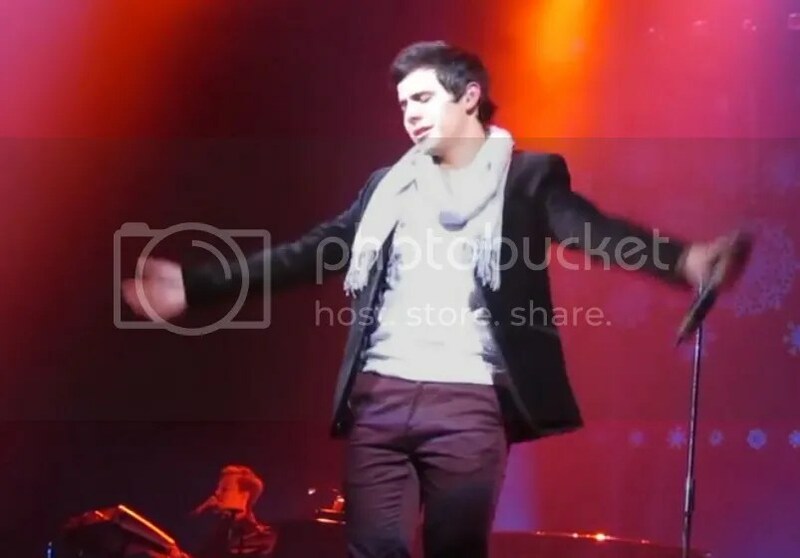 I totally agree with the comments about his movements in Spanish songs… so expressive and mesmerizing. 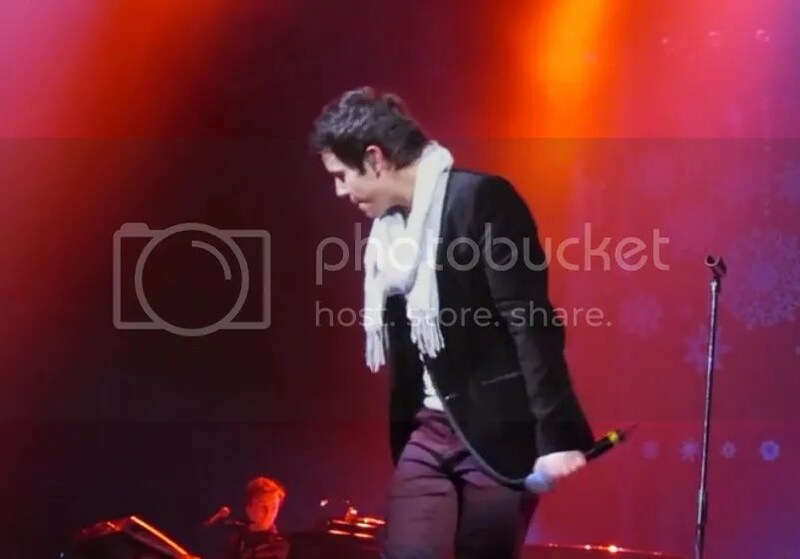 HIs movements when singing in Spanish really are mesmerizing and it seems to come so naturally to him. Question: Has an artist ever put out one album with some songs in English and some in Spanish? And what about songs that mix languages? A song sung half in English and half in Spanish? Great article, MT. That Riu Riu Chiu omygosh. I remember the first time I heard him say anything in Spanish, it was on AI and he was talking about his most embarrassing moment. He said he went to Honduras and was singing Contigo En La Distancia – WHOOOOAAAA – did he just say that with a perfect accent? Why yes, he did. Remember when he said that Spanish was his first language, but soon he *lost it*, because his parents didn’t keep up the Spanish with him. No worries anymore, he is most likely speaking like a native and will all be KEELED when he sings in Spanish. Bring on what he was born to do: A Spanish album. I had the great privilege of hearing David sing in Spanish, only his voice and a piano background. But the greatest miracle was listening to a short speech in Spanish. He explained why he was there in Chile, for he had decided to be a missionary. He said: I came here following my heart. And I thought that I did the same. I went to Chile following David, because he has my heart. I love “Don’t Give Up”…I love the whole album, “Begin”. I listen to it every day. It’s part of my being!! I didn’t like some of the cover songs, but with him singing them, he made them his own! Soooo ready MT, Bring on that album! I can’t wait to hear him speak/sing in Spanish, after being immersed, in the language and culture of Chile for 2 years. Just love so many things you said in this post! That Verona video is so good.Gahhh! I was so blown away by Riu Riu Chiu when he sang it on the first Christmas tour.Something special happens when he brings out his Honduran side and sings in spanish.It’s just so natural a fit. I’ll just just call it what it is… the S.N.E. ( Spicy Nacho Effect) which happens to both the singer the listener.haha Guess when you’ve got it, you’ve got it, no matter what language you sing in. The sounds that David emits are incredible sounds.He just pulls them out of wherever,thin air! That voice makes everything sound so beautiful.You hit the nail on the head. To me, every consonant,every sound he makes,is like a sweet caress. I remember that. It’s not surprising that Spanish was his first language. You can even hear just a hint of it on certain words when he’s speaking or singing in English. “She’s Na Chew” comes to mind. lol And sometimes he doesn’t enunciate the “ing” sound. There a only few words I’ve noticed it on. I think it’s from listening to his family speak Spanish his whole life. All things considered, singing in Spanish would be as easy as breathing for him, especially after spending two years in Chile. “Gladys, David has such a big heart…. so big that it holds all of ours. ♥♥” So true. “I’ll just call it what it is… the S.N.E. ( Spicy Nacho Effect)” hahaha You go, girl! Tell it like it is! Oh, speaking of mixing Spanish and English in a song, I just remembered this! So much fun, too!!!! Not sure now if that’s the video but thanks for trying! It’s a good one too! 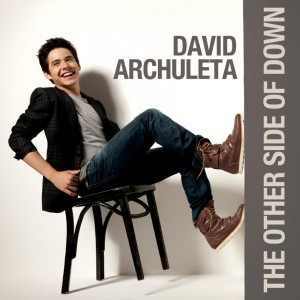 Not only is today Veteran’s Day; it’s also the fifth anniversary of the release of David’s first album! 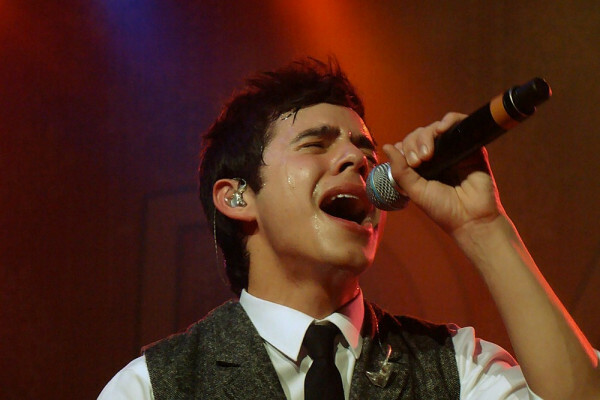 There is a certain passion that David exhibits when he sings in Spanish. I watched the video you posted at the top and took a few scream caps. 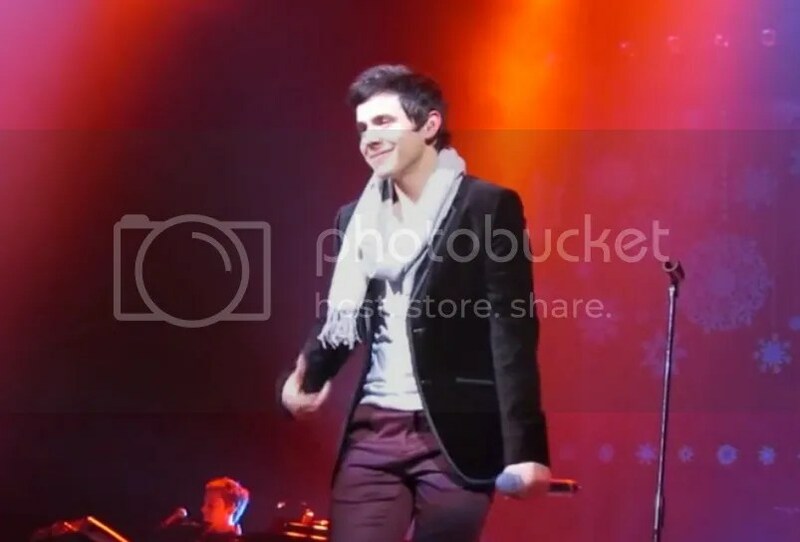 This is just after he hit the high note and snapped his mic hand forcefully downward. He is definitely feeling the moment. I call this his attempt to recover and come back from that place he goes when he is so caught up in the song. I do not have high hopes for a Spanish album in the near future. I do have an expectation that David will mix in some Spanish covers either on his first tour or when he puts out some music in 2014. What better way to test the water of the Spanish market? If he tours and sings a few songs in Spanish the fan videos will be all over YouTube. This is something I wish for the Spanish fans sooner than later. 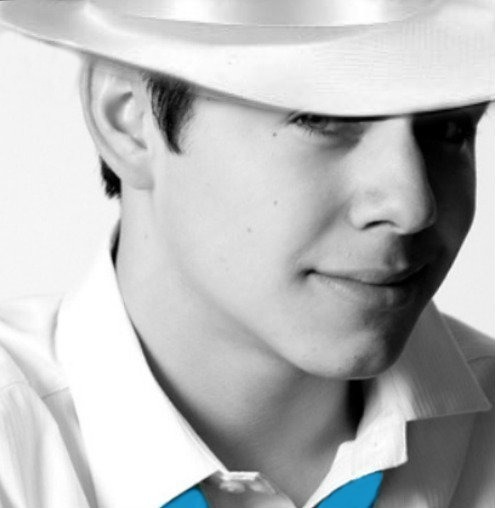 In talking to Djafan and Gladys, I know that Latino fans hunger to hear David sing in their language. I tried to locate the YouTube Bebe mentioned. I wasn’t able to find it. But, I do have an MP3 of it in the Candy Jar. You can listen to it before you download if you like. That’s a new feature on Mediafire. To those who serve and have served our country. Thank you for your service! Thanks so much for the scream cap scenario. I love how you made them tell a story about David and you are spot on with your descriptions. 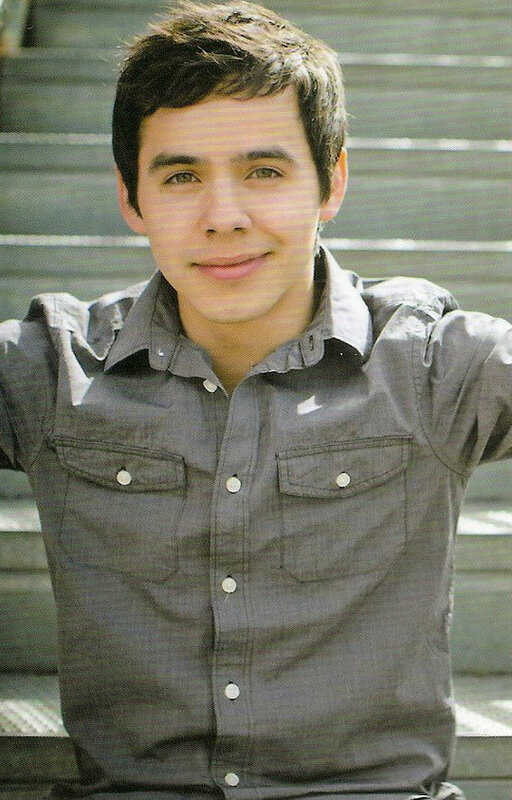 I am so excited to see the David that comes home. Hope everyone had a nice Veterans Day. A great big Thank You! 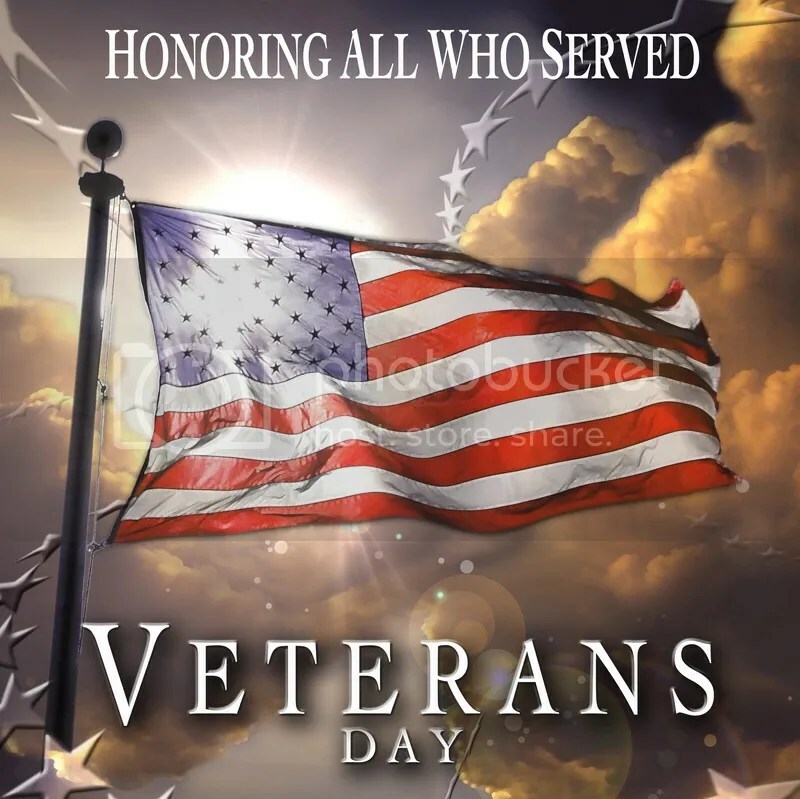 to all those who serve and to those who have served in the past. And Happy Anniversary to the little red CD! 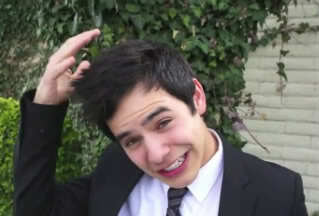 MT, I would buy anything David is selling! 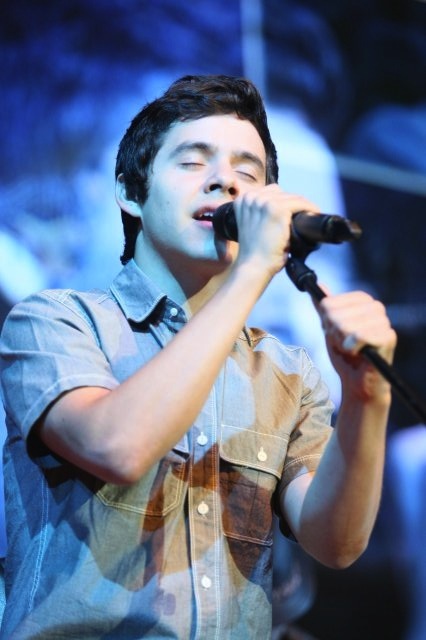 He could be singing “Pig Latin” and I would LOVE it! LOL! Five years ago today Nov. 11, 2008 I smoked my last cigarette. After numerous attempts to quit my 30 year habit, listening to David’s music and following his lead made quitting a lot easier to handle. My deepest condolences to all the families who have lost loved ones because of Haiyan. “He could be singing “Pig Latin” and I would LOVE it!” hahaha I think we’d all agree on that. 🙂 Oh, and congratulations on quitting smoking! Congratulations on quitting smoking! I can really understand how David’s voice made it easier for you to handle. By the way, about a year ago, we talked about how we are both fans of the TV show “Nashville”. Are you still watching? Steno and Sky watch it too. Was wondering if there are more of David’s fans out there who watch the show. It’s been so good this season! Congratulations are also in order for David’s sister, Claudia and her husband, Adam! “Uncle David”! I like the sound of it!! Congratulations to Claudia and Adam! “Uncle David”….what a treat to come home to right after his mission is up! He must be so pumped! “Oquirrh?” Yet Violetas are sweet. Speaking of sweet, my phone is looking pretty that these days. Congrats to you too, Angelofdja. Wish I’d had the aural gratification of David’s songs to help me through my own quitting smoking days. Alas, he had not even been born yet. MT, thanks for your thoughtful post. My reply, in a word: Sí! Oquirrh is the name of a temple. Bebe, It has been hit or miss on watching Nashville for me. I tape it and still haven’t watched nearly as much as I wish to! Where does the time go? Abrra, MT, Bebe, and Angelica, thanks for the congrats with the smoking thing. Although I have no desire to light-up, I continue to tell myself I’m still quitting. Works For Me! Munk, I had to look up Oquirrh also! Baby Violeta will have a wonderful Uncle David and a large extended family to shower with love! (and sing lullaby’s to) Congrats to Claudia and Adam! Does Oquirrh a church? What’s gonna happen there? Just curious. I want a Spanish album ASAP! I hope he records Contigo En La Distancia one day. I want to see him in a music video like this one, beautiful woman optional. A live performance in this style would even be better. The Oquirrh Temple is a new one (2009). There is the Jordan River Temple, also, that is quite close to the Oquirrh. I’m pretty sure that is where Adam and Claudia were married. Jeffrey, I would call her Lettie if she were my child and named Violeta. Just my thoughts on a nickname. That’s the same site I came across last night and this is the last paragraph. That’s what led me to believe it was once the South Jordan Utah Temple. “Si!” <<< haha I like your answer. Gets right to the point! You come up with the cutest little smilies! They always make me laugh. Thanks for the Luis Miguel video of Contigo. Being loyal to David’s version, I almost didn’t click on it but I was curious. I understand now what you mean. Although I love it with just the guitar, David’s voice, backed up by an orchestra would enhance his performance even more. You have to start watching again. This season is so good! And tonight’s episode had me on the edge of my seat! I’m also learning a lot about the cut throat record business. Sadly, it’s even worse than I thought. If you don’t have big bucks to give to radio stations or you don’t kiss up, they won’t play your music. Simple as that. Glad to hear you watch the show too! Yes tonight’s show was terrific! So that makes five of us. Any more? I feel depressed and worried. Maybe because I’m just sleepy. LoL. Listening to Melodies of Christmas and repeated it several times to ease the mood and that’s why I’m still awake. hahaha. Just passed by to say Hi! 3 more days and I’ll be gone for 6 weeks. 😦 I’m gonna miss you guys! 44. Fen, that was a soft and soothing arrangement by the orchestra,I LOVE Contigo.I hope David records it one day too! angelofdja,, omg you have to start watching Nashville again! Hard to keep up with all the goings on,its a fast paced show. Last night was full of surprises. :) holey moley! Jan, I forgot you were there in May, thats right! .. we’ll be here when you get back,keeping the home fires burning! 44…Fenfan, good video of CELD, but with David singing it, it would be excellent!! 🙂 I agree on the format tho. 45…Tawna, I think Lettie would be cute for her nickname too. 50…Jeffrey, will miss you too! Wow, 6 weeks and it will be Christmas time. Good luck in your endeavors! Jeffrey, travel safely! 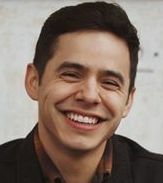 When you get back, we will be just 3 months from David’s return! 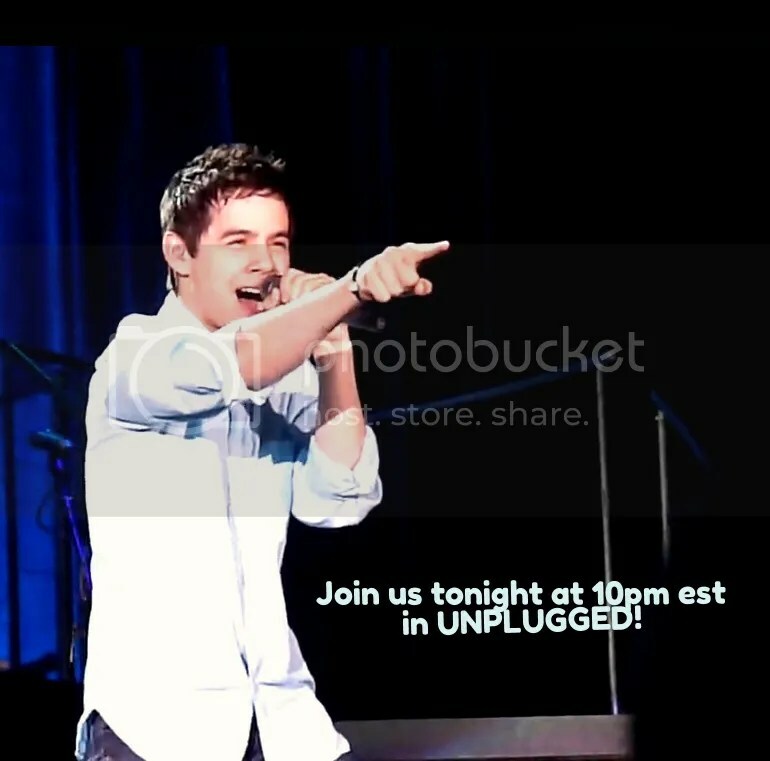 I am excited to see him and hear what he has for us musically. But, I won’t mind if he takes a little time for himself. In chat recently, we were singing discussing Broadway and musicals and started singing Surrey with the Fringe on Top lol. There has been a new development. Hugh Jackman just remade it and it’ll be on PBS tonight. Jans11>> Thanks! We will be returning home only for Christmas day and New Year but we will return there again..
Let’s show David some love! The time to send him cards for Christmas and his birthday is coming up soon. Ahhhh, Dear MT!! I have been gone for a while.. and have not read all the posts. But I could not pass by an opportunity to praise “Riu Riu Chiu”. This is the song I played over and over and over and over and over and over and….. over. And it is also a LOT of fun to watch him as he performs it. I do not say “sings” it. Nope, this he “performs” (as he does many of his songs). This one he slips into like a millionaire “slips” onto his yacht, like a gorilla “slips” through the trees, like Iron Man “slips” into the big red suit. In other words: he owns it. And he moves like he owns it. And I hope to be back for more reading …. love you guys. Thanks so much MT for the remembrance. And for the promise of lots more ear candy. Bluesky, I love your imagery. Very aptly put! Betsy, That was fun singing “Surrey with the Fringe on Top” in chat. Don’t remember what started it. lol. I love Hugh Jackman too! I wish I had been able to catch his one man show on Broadway during David’s MKOC tour but it opened too late for me to get tix. Isn’t he wonderful in that 1998 PBS production of “Oklahoma”? It was my very first encounter with Hugh Jackman and I was completely smitten. How could you not be? Loved seeing Hugh Jackman perform “Surrey With The Fringe On Top” in your link. I am a huge fan of Rogers and Hammerstein plays and although I had the chance to see “Oklahoma” on Broadway, I would have loved to have seen it with Hugh Jackman. Came home too late tonight and missed the performance! Argggh! Hope to catch it on a rerun. I remember what started the discussion of “Oklahoma” and the ensuing chorus of “Surrey With the Fringe on Top” in chat. We were speculating about possible offers David may have received since he’s been gone and wondered if any were for plays. That led to a discussion of how his voice would be suited for a Broadway musical. Then we went around the room and everyone mentioned what plays they have seen. I threw “Oklahoma” into the mix and you mentioned the song “Surrey With The Fringe on Top”. And we began singing. Haha It doesn’t take much to get us started. Fun times! 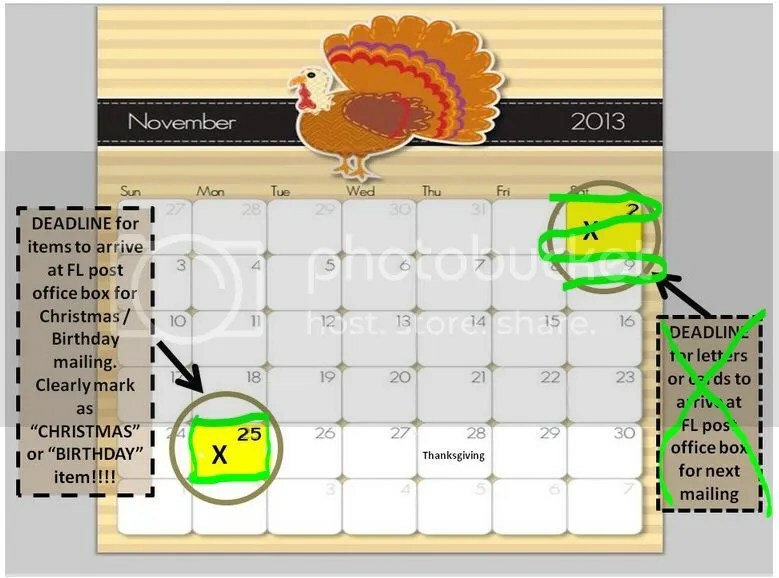 From Philippines, how can I send a Christmas and birthday card to David? I just wanted to send one but I don’t know how! Just buy the cards (or you can write David a short greeting in a letter) and address them and add postage. When I am not sure how much postage to put on the envelops, I bring my cards to the post office and they calculate the amount needed and sell me stamps to attach. Hey I remember that discussion on musicals in Chat! It was fun. PBS won’t let me watch the Hugh Jackman vid Betsy posted. So I went to Youtube and found vids of the entire performance of Oklahoma in 18 parts by the original London cast including Hugh Jackman as Curly. I am halfway through it now. I don’t know if it’s the same one shown on PBS but Bebe if you want to watch it here’s the first part. Abrra – That’s ok. The same thing happened when I watched it. I think there may be something wrong with the labeling of that video and they got the names mixed up. I was just a bit concerned when David started rolling a cigarette and smoking it while still singing in perfect voice. Thanks for the youtube link. I’m on Part 3!